I recently attempted the 30 Day Film Challenge on Facebook. Day 7 asked for a movie that reminds me of my past. I chose Swallows and Amazons, adapted from Arthur Ransome’s book by David Wood. Although a far cry from my upbringing in urban Essex it always takes me back to the infinite possibilities of childhood summer holidays where the only limitations were those of our own imagination. 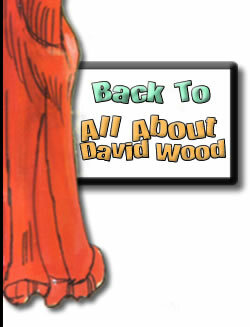 As with much of David Wood’s vast body of work, the film celebrates the innocence of childhood untainted by the trials and tribulations of the adult world. On the surface then, Wood’s latest piece, a stage adaptation of L.P.Hartley’s tragic romantic novel The Go-Between feels like something of a departure for the man dubbed “The National Children’s Dramatist” by The Times. In Wood’s own words this is his “first grown-up play for a while” but the choice to adapt this particular novel feels more significant than that. The Go-Between recounts the story of an elderly man, Leo Colston, who accidentally unlocks the memories of his past which he had long ago left buried. Memories of the oppressively hot summer of 1900, and of his days spent in Norfolk come flooding back. Spending the holidays with the family of his school friend Marcus, the young Leo is unwittingly enlisted into an adult affair of deceit and forbidden passion. Acting as the go-between for the beautiful, upper-class Marian and tenant-farmer Ted, Leo becomes embroiled in a doomed love affair which will shape his life forever. So much of Wood’s work over an illustrious 40 year career has celebrated childhood and the sheer liberation and lack of responsibility that comes with it, whereas The Go-Between is very much about the loss of childhood innocence caused by the premature infiltration of exclusively adult nightmares. The staging too offers something a little different from what is commonly expected from modern stage musicals. There is no orchestra hidden from sight and definitely no pre-recorded backing track. During a showcase of the production over a year ago (the same showcase which convinced the three theatres putting the show on to “take the plunge”) all the music was played on a grand piano live on stage. “Quite unusual, quite novel”, enthuses Wood, “we liked it so much that any thought of having other instruments went out of the window.” A decision which will surely add an extra level of intimacy when the play debuts at The Courtyard Theatre, the smaller of the West Yorkshire Playhouse’s main spaces. The only concern Wood has about the decision is that in a time of austerity and cuts to art funding people might assume that he simply couldn’t afford a full orchestra, “but it wasn’t that at all” he’s keen to point out , “it was very much an artistic decision”. However, this inaccurate assumption does not necessarily surprise Wood. With cuts to arts funding likely to hit regional theatre particularly hard he can see a time in the not too distant future where such decisions will be influenced solely by budgetary restrictions, that’s if such productions are able to be mounted at all, “a show like The Go-Between is a modest scale musical but it would be very very difficult to mount even this in a year or two’s time I think, unless we get some sort of relief.” Indeed, Derby LIVE, one of the three theatres hosting The-Go-Between, has already had its arts council grants cut for next year. The Go-Between’s vision of the past is of one haunted by ghosts and Wood’s vision for the future, of regional theatre at least, is no more cheery, “I don’t think it’s looking good at all to be honest”.